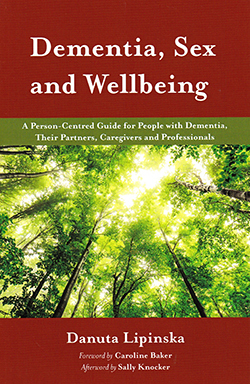 This concise book is divided into five main chapters that address the importance of sexuality and well-being in older people living with dementia. Throughout, the author calls for readers to reflect on their own assumptions and perceptions about sexuality in older people. Many short, real-life examples about how dementia can affect sexual well-being and overall quality of life are included. These meaningful experiences are useful for anyone who has dementia, or is connected to someone living with dementia. The book provides readers with an understanding about why people living with dementia might express themselves in a sexual way that others might find ‘inappropriate’ and/or ‘challenging’. It offers a strong background that needs to be developed with further knowledge and research. This book is a refreshing and pleasant read, addressing the need for sexuality, sensuality and intimacy in older age. It is well written and would be understood by most people. A valuable source for all nurses working in gerontology.